WHEELING – After being found abandoned in rural Marshall County, two female bobcat kittens have found a permanent home at the Oglebay Good Zoo. The Good Zoo is now offering guests the opportunity to learn about these fascinating wild felines through a new bobcat animal encounter. This new opportunity will take guests up close and personal with the bobcat kittens while also providing education on bobcat natural history and cat conservation. Guests must be at least 8 years old to participate. “We are happy to have the opportunity to raise such a hallmark wildlife species from our state, and we look forward to providing care to these kittens and teaching zoo guests about West Virginia wildlife and cat conservation for years to come,” said Good Zoo Director Joe Greathouse. 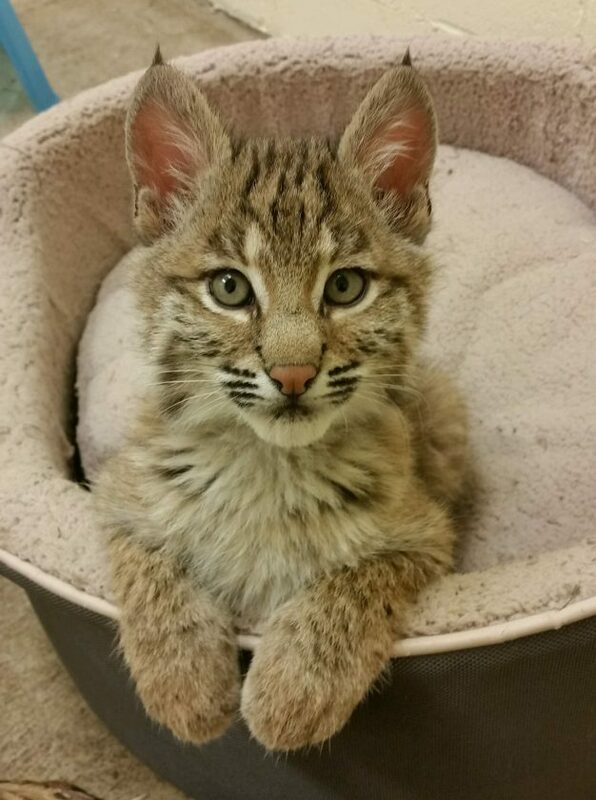 For information and reservations regarding the new bobcat animal encounter, call 304-243-4100 or visit http://oglebay.doubleknot.com/facility/bobcat-encounter-1100-am-1145 -am/2459179. The Oglebay Good Zoo is the only institution in West Virginia that is accredited by the Association of Zoos and Aquariums. The Good Zoo provides conservation education programming to 13,000 students annually and participates in AZA breeding programs for 20 rare or endangered species. The Good Zoo also collaborates with the West Virginia Division of Wildlife to conduct conservation research associated with the rare Eastern Hellbender Salamander and to rehabilitate nearly 50 ill or injured wild eagles, hawks and owls in the Upper Ohio River Valley annually. Learn more at www.oglebay.com.